This unique status indicator can produce either three colors (Amber, Green and Red) or four colors (Amber, Blue, Green and Red) from a single light source. 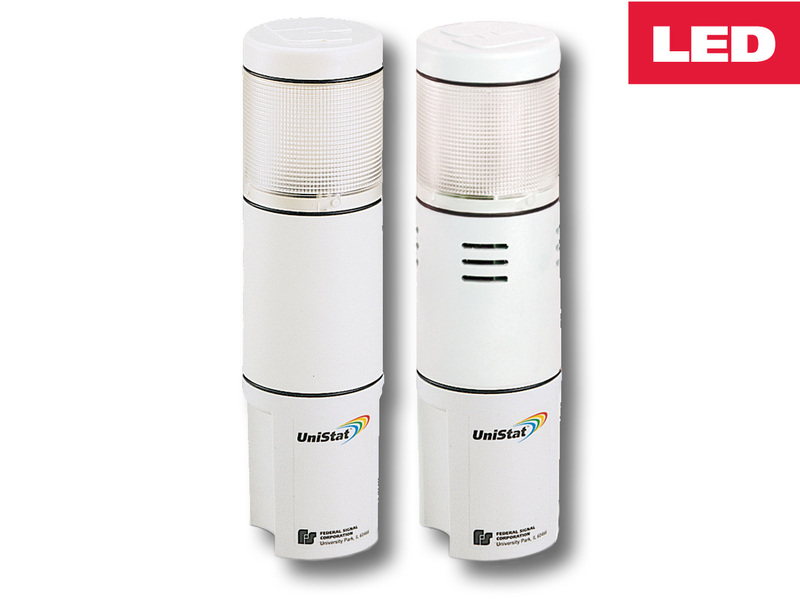 When the application calls for an increased sense of urgency, specify the model USIS with an integrated piezo sounder. Producing 60 dBa @ 10 feet, the USIS is the ideal attention getter in process control applications. Each model arrives pre-assembled and ready to surface mount or 3/4-inch NPT pipe mount. Options for the UniStat include pipe mount extensions (4",16", and 32"), a wall mount bracket and a tulip mount base.